You are viewing black Red Kap jacket. Zip fastening button cuffs and band. 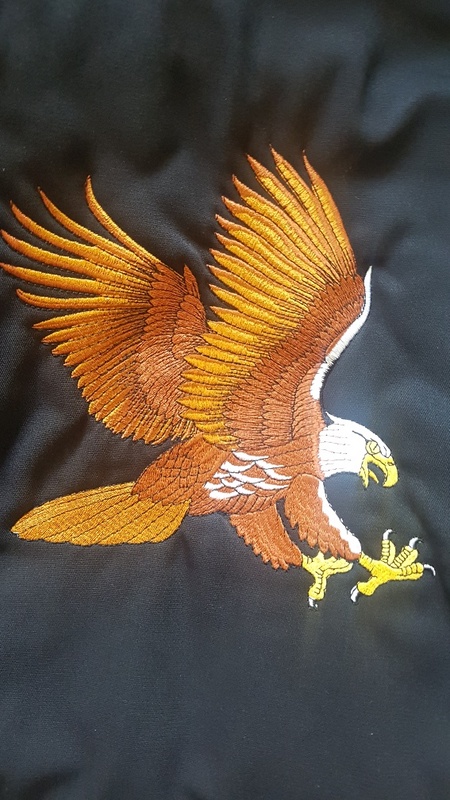 The jacket is embroidered on the back with an eagle design and a small detail eagle embroidered on the left breast.